The world would be a better place if we all had the opportunity to read more. This is our belief and the driving force of the South African Book Fair. For the first time, Johannesburg will be able to enjoy the exciting literary programme designed to satiate the appetites of the most voracious reader, as well as inspire new ones. Our campaign theme for this year’s Fair is #DiscoverYourBookself. 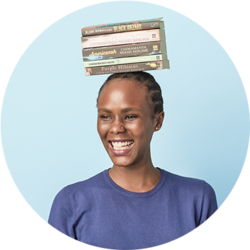 We believe that the books we read shape us, and as Africa’s largest Book Fair, we’re certain you’ll find your ‘bookself’ here. Imagine 100 authors participating in more than 40 events, 44 new small publishers, 7 publishers from across the continent, a dedicated Kid’s Zone, and a whole day devoted to learners, teachers and librarians. ● Hello, Hugless Douglas! - Join the creator himself, David Melling, as he reads his delightful story, shares the history and making of the huggable Douglas and shows how he comes to life. Suitable for 3 - 6 year olds. ● Be taken on a magical tour of African folktales by famed storyteller, Gcina Mhlophe. ● Jurassic Park is coming to Joburg - In “Dem Bones” children can listen to the best dino tales, meet a real paleontologist and dig for bones. ● Books and ballet - come dance with words! - Every little girl, at some point, dreams of being a ballerina. In collaboration with the Joburg Ballet, enjoy a ballet story and mini class with a real ballerina who will tell you all about life behind the curtain. ● Become a detective for a day! - Join Jenny Crwys Williams, Elizabeth Wasserman & Dog-detective Willem on a mystery solving adventure. You’ll also get to win books for your school library, learn how to train your own dog-detective and get a photo of yourself taken with a guide dog. ● A dress-up Mad Hatter’s Tea Party - In celebration of Alice in Wonderland’s 150th anniversary and the launch of Alice in IsiZulu, with readings in both English and IsiZulu. The Queen of Tarts, Tina Bester, will be serving it up and prizes for the best-dressed are on the cards. The guest list includes the Gruffalo, Wally, Floppy, Peter Rabbit and more. It promises to be the grand finale to the SA Book Fair. 1) The digital world seems to come naturally to children, but for adults it can be a confusing and intimidating place. Creative parenting expert Nikki Bush talks to parents and teachers looking for help to make sense of a daunting digital world where the kids they teach and raise reside. 2) How do you get kids to read more? How do you instil a love of reading when all your child wants to do is play computer games? Talking Stories teaches children to love reading. 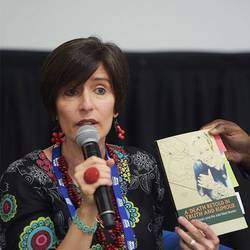 It is an innovative South African reading programme that reflects real life in South Africa, affirming the sense of identity and dignity of every young reader. 3) What is a dictionary corpus? How do new words make it into a dictionary? And why are some removed? Why make South African dictionaries? Join the Oxford University Press dictionary publishing team, Megan Hall and Dr Phillip Louw, as they chat to Sue de Groot about the fascinating process of dictionary making. 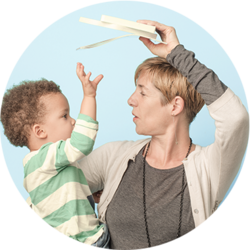 4) Why is it crucial to talk to children in their own language? In this insightful talk, Elinor Sisulu, NLSA and PUO discuss children's literature publishing in indigenous languages: “How do we achieve a quantum leap?" is facilitated by the Puku Children's Literature Foundation.